YORK, Maine — Mike Marcuri said he and his mother Diane have been largely silent about the continuing disputes between Gammon Lawn Care owner Josh Gammon and his neighbors. But he said since he moved into his grandfather’s York Street home abutting Gammon’s business, he’s now raising some concerns. Diane Marcuri, wife of the late Peter Marcuri who sold the land to Gammon, said she likes the lawn care business owner but is as worried as her son about speeding trucks on the access road after two nearly hit Mike’s family car. As the mortgage holder on Gammon’s property, she also has questions about her liability regarding outstanding Internal Revenue Service liens against Gammon. According to Register of Deeds records, he has recently paid off much of the money owed the federal agency but some of the debt is still outstanding. Add to this several more developments in the ongoing saga. Neighbors have filed a motion in York County Superior Court for additional findings of facts, according to Gammon’s attorney Matt Howell, after a judge late last year denied their challenge of two Board of Appeals decisions. A separate case is currently before the Supreme Judicial Court on appeal as well. In addition, neighbors have once again raised seasonal issues about salt piles and snow dumping on the property, as well as concerns about other landscape companies using the property – something that also concerns Mike Marcuri. In both matters, Gammon has been found not to be in violation. Diane and Mike Marcuri both said they don’t have a problem with Gammon’s operation per se, and have been relatively quiet in the past several years as neighbors have raised issues about the business. Since he moved in, he said, he’s been concerned about the amount of traffic from dump trucks and other equipment coming in and out of the property, even at nights and on weekends. “I don’t know what they do, and I’m in the same line of work,” said Marcuri, who operates Four Seasons Landscaping. He said his biggest concern is that the trucks “bomb up and down” the access road to York Street, which runs past his house. He said twice the family car has almost been hit by a truck as his wife tried to exit the driveway. His wife, who was pregnant at the time, was frightened and angry. The second time he was in the car. Diane Marcuri also wrote to Code Enforcement Officer Amber Harrison, saying the trucks “didn’t slow down or care that (her daughter-in-law) was attempting to back out of her driveway.” She said her grandson often plays with children living nearby, and may not always be attentive to traffic on the access road. “I’m to the point now that I think it’s going to take my wife getting hit or, God forbid, my son,” said Mike Marcuri. The Marcuris are also concerned trucks from other lawn care companies are using Gammon’s facility, one or two in particular, to the point it appears they are running their own business out of there. “This is not in the agreement he and my late husband Peter went into contract with,” Diane wrote to Harrison. Diane said she’s also concerned about outstanding federal and state tax liens against Gammon, as she is the mortgage holder for his property since her husband died. She said Josh is making his monthly payments to her, and she cannot complain about that. Her only concern is whether the IRS might hold her responsible for his debts if Gammon walked away from the property. “Nobody seems to be able to tell me what happens if Josh goes south,” she said. Howell said Gammon has no intention of doing so, and he has been paying off his debts. York County Register of Deeds records indicate he paid all of his back taxes to the Maine Revenue Service and has paid off $91,000 in federal back taxes. There is still more than $75,000 in liens outstanding, but Howell said Gammon intends to pay them all. Once all the legal matters are settled, he intends to get a bank mortgage to buy the additional property and pay off Marcuri and the IRS, Howell said. “This situation has existed from the beginning, and he’s been very aggressive in making payments,” said Howell. 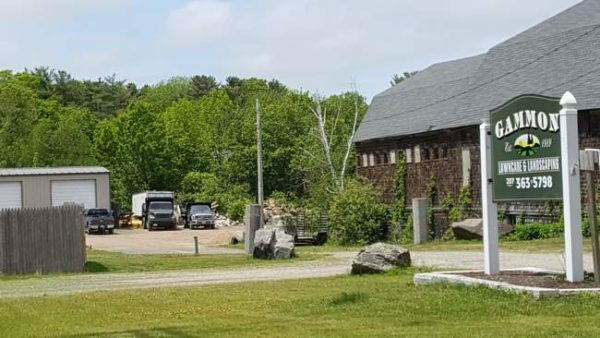 Gammon’s neighbors, including abutter Dan Raposa, have again raised concerns with the state Department of Environmental Protection and Harrison about a salt pile on the property as well as snow that is dumped there. They have long charged that Gammon is running an “industrial” compound in their residential neighborhood and say it continues unabated this winter.